Do your body well, so that your soul will want to live in it. Relax and unwind in our spacious wellness area with indoor heated pool, hammam, caldarium, dream shower, bio sauna, arvensauna, kneipp pool, infrared sauna and outdoor hot tub with views of the Matterhorn. There is also a small fitness room. Fabulous! Hotel that feels more like a Home! It was like a fairytale... The most lovely place we ever been! Location near the Bahn, warm and smiling faces each morning, healthy and very good food, champagne each morning, fireplace, spa, ... congrats! Zermatt is superb in general but staying in ❤ des Alpes made our trip! Cannot speak highly enough of this wonderful hotel. Leni and Tomas and their team made us so welcome and more like house guests than paying visitors. 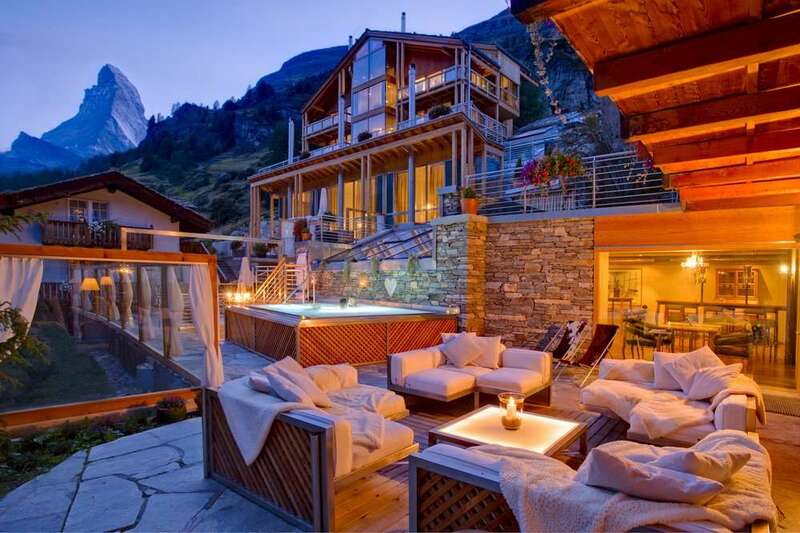 The elegant modern design, the furnishings and art work, the views, the gourmet breakfasts, the efficient, friendly staff, the atmosphere all contributed to an unforgettable Zermatt experience!